tomatoes, bell peppers and garlic sauce.  Get coupon code to your email and inform your server. Join us every day of the week. Not to be combined with other offers. 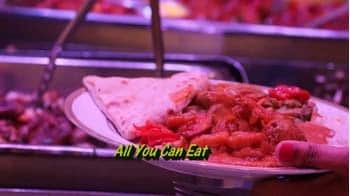 The Famous Indian Taj Buffet of Jackson Heights known for its amazing buffet spreads of Salads, Rice, Naan, Tandoori chicken, curry meats, Masala seafood and vegetarian options. 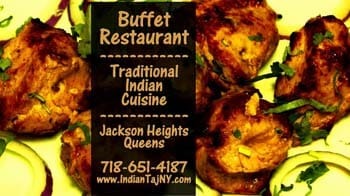 A must try buffet at lunch and dinnertime in Jackson Heights. Call and we’ll deliver your party food the next day! 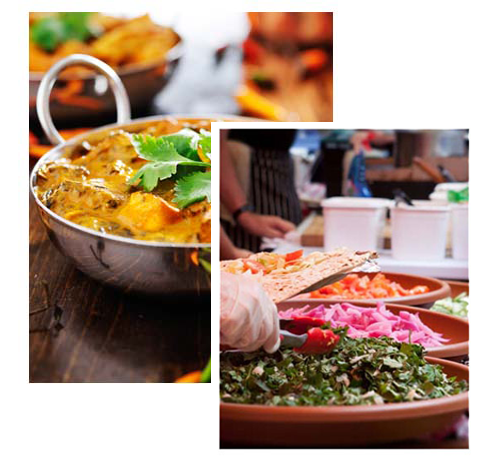 specialties and traditional spiced dishes. Food is hot and fresh. I saw them refill the food in the buffet about 4 times while I was there. Nice waiters with good manners. Cold water pitcher always at your table. Tandoori chicken was my favorite! There is only street parking here. Bathrooms are not the best. Need remodeling. The food from here was really good. It wasn't overly spicy, just the right amount of heat. Plus the food arrived on time and was still hot. We will definitely be ordering from here again. 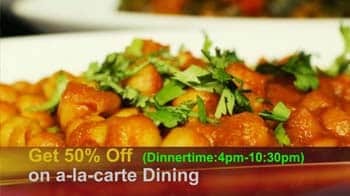 recommending this good restaurant for Chicken Tikka and Cheese Garlic Naan. 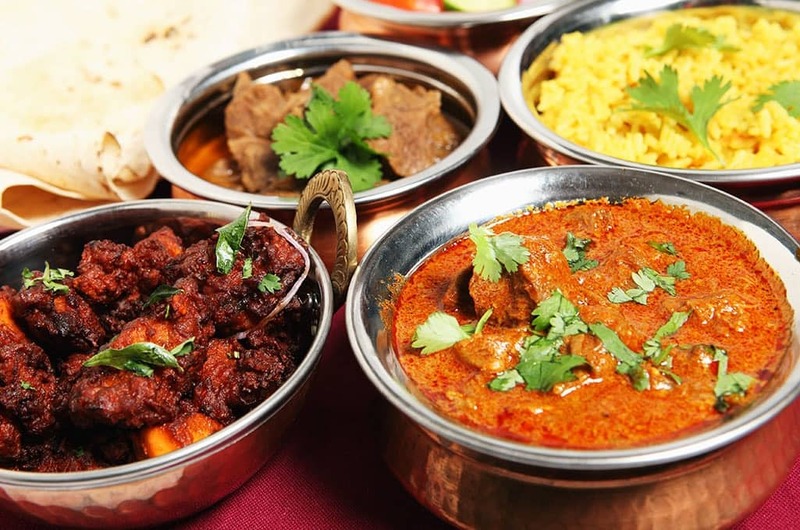 Good Indian food. 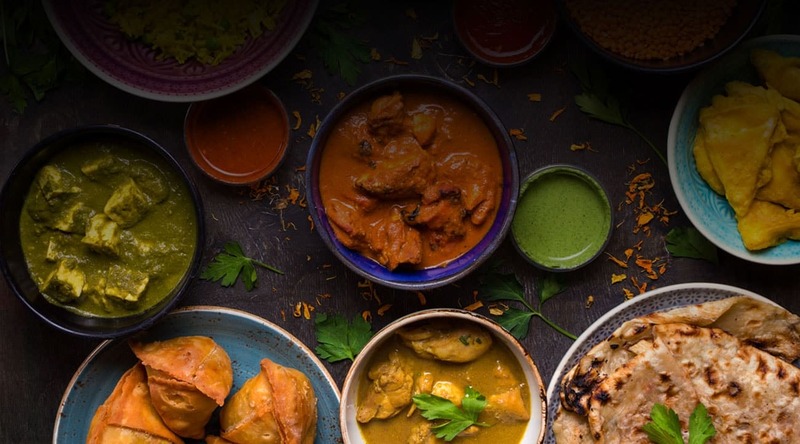 Real Indian food taste. Not like others who have Indian restaurants but the food tastes something else. Enjoyed the Tandoori Lamb Chops, Naan and sweet Lassi and it was a delicious dinner. 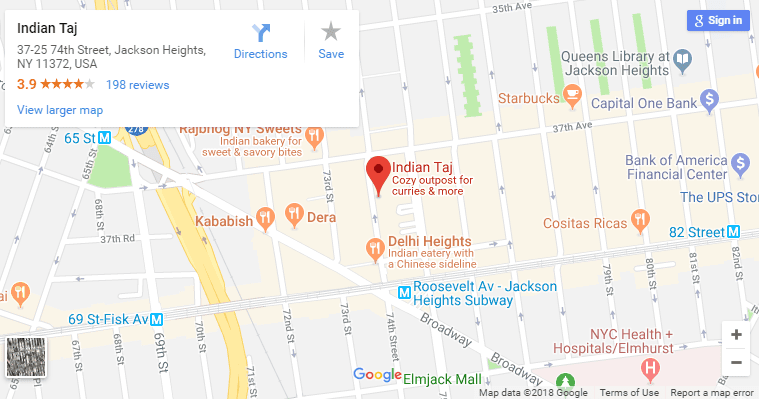 I recommend the Indian Taj restaurant for dinner to all Jackson Heights residents.